The new law will help families and individuals with autism find quality ABA providers. Governor Andrew M. Cuomo signed a bill on Friday to help people with autism spectrum disorders find quality providers of applied behavior analysis (ABA). The new law will establish a new state license for ABA providers, ensuring that they have met stringent academic and training requirements. The law will also increase state regulation and oversight of ABA providers. ABA is an intensive method of treatment for patients with autism spectrum disorders. Treatment methods are often one-on-one and are beneficial for patients. Behavior analysts are required to have at least a master’s degree, while their assistants are required to have at least a four-year college degree. Autism spectrum disorders are a group of severe developmental disorders. They are typically lifelong disorders and can disrupt social relationships, communication and academic skills. According to the Centers for Disease Control and Prevention, an average of 1 in 88 children have an autism spectrum disorder. “By creating this new professional licensure, we have taken a major step in ensuring that the thousands of children in New York who have been diagnosed with autism can receive the therapies they deserve. I applaud the Governor, my colleagues in the legislature and the countless advocates in New York for coming together to adopt this important legislation,” Assembly Majority Leader Joseph Morelle stated. Two years ago, Morelle and Cuomo worked together to ensure that insurance companies cover necessary treatment for patients with autism. 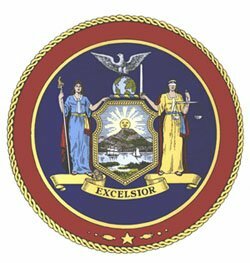 Subject: LongIsland.com - Your Name sent you Article details of "Cuomo Signs Bill Establishing New State License for ABA Providers for Patients with Autism"